It's a beautiful day to be neighbors! WSBE Rhode Island PBS will host “Be My Neighbor Day” at the Providence Children's Museum on Wednesday, May 10, 2017, from 1 p.m. to 3 p.m. This event is part of a long-term campaign launched by Vroom, to inspire parents of young children to be their child’s personal Brain Builders, turning everyday moments into opportunities for fun and learning. Free admission to the Museum will be granted to the first 250 registered parents and children. Advance registration is required to qualify for free admission. At the heart of Be My Neighbor Day is the meet and greet with the Daniel Tiger character from 1 p.m. to 2:30 p.m. Other parent-child interactive activities include building with over-sized blocks and shapes, and, for children age 4 and under, exploring the Littlewoods play area. Registered visitors will receive activity cards, a book, stickers, and other take aways. All visitors are also invited to explore other museum exhibits and play areas before and after the character event. To register for the event, click here. Be My Neighbor Day is made possible by Vroom (joinvroom.org), funded by the Bezos Family Foundation. inclusion, education, and merriment as Edaville USA hosts its first ever Autism Weekend, Friday September 16, 2016 to Sunday September 18, 2016, 10 a.m. to 5 p.m.
Everyone is welcome for a great weekend where the park will be sensory friendly. 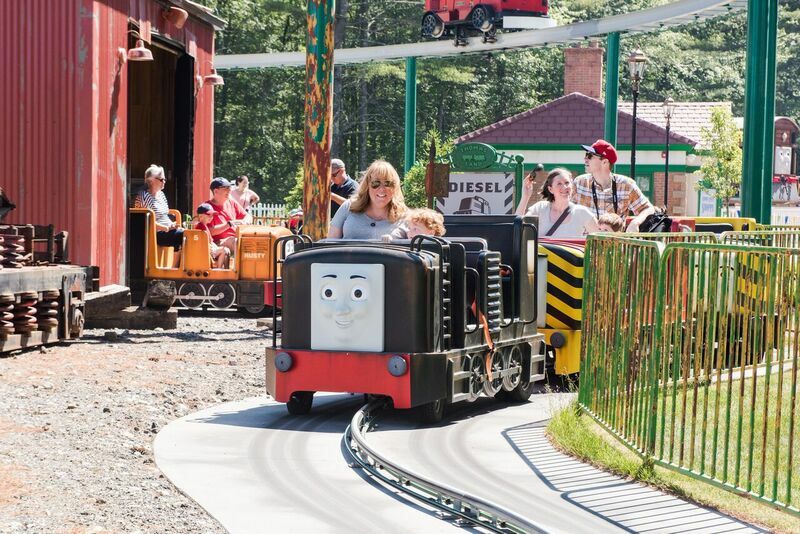 Edaville will be turning down the music and quieting down the dinosaurs so all guests can join in the fun and have a wonderful time together. To make this event even more outstanding, Edaville USA will be hosting a Touch-A-Truck event with some truly amazing vehicles. 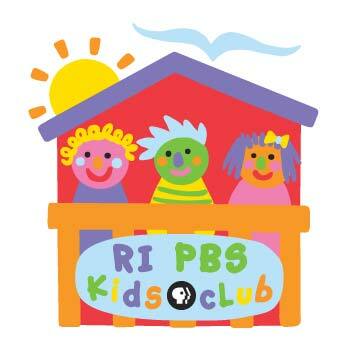 Be sure to stop by the Rhode Island PBS Kids Club booth for stickers and other fun stuff on Saturday, September 17 from 10 a.m. to 2 p.m.
Rhode Island PBS has a limited number of family four-packs of tickets* (valued at $148) as a very special "thank you" to new members who join Rhode Island PBS at the $75 level. 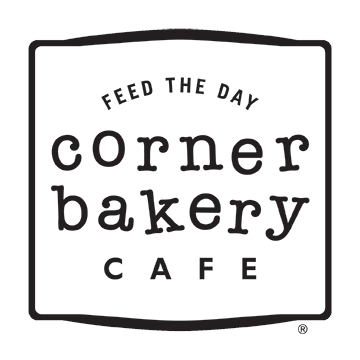 Current members are entitled to a special member discount. 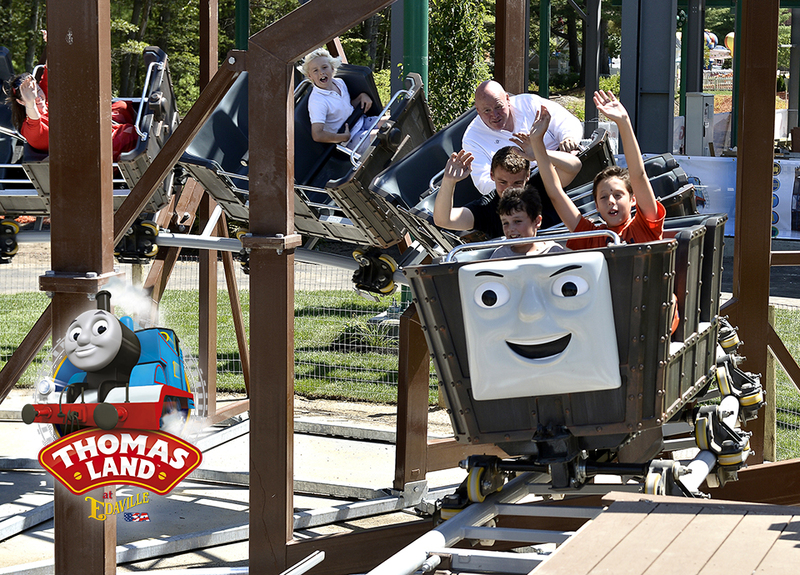 * CLICK HERE to get your "secret code" for Thomas Land tickets. 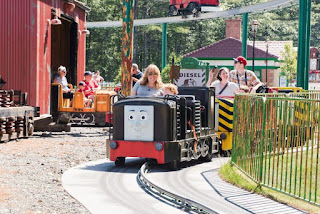 *Free and discount tickets are good anytime during regular park operations, and are not limited to Autism Weekend. 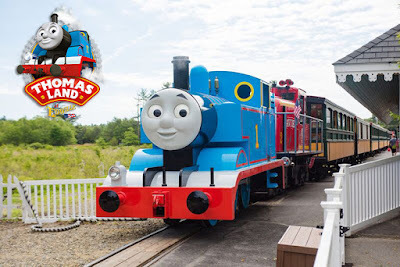 Set in the lush New England landscape of Carver, MA, Thomas Land at Edaville USA covers 11.5 acres and features 11 rides based on Thomas & Friends™ and the Island of Sodor. Attractions include a 20-minute scenic train ride on a life-sized Thomas the Tank Engine™ and theme park favorites like a roller coaster, drop tower, Ferris wheeland much more. 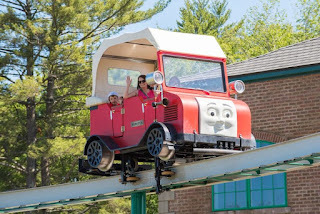 All of the rides and attractions feature beloved characters such as Thomas, Percy, Diesel, Toby, Cranky the Crane, Harold the Helicopter, and more favorites. Guests can also visit familiar destinations like Tidmouth Sheds, Knapford Station, and Brendam Docks. For more information, visit www.edaville.com/thomasland. Odd Squad Live at The Vets in Providence! Attention Odd Squad fans, something very odd has happened in your home town. 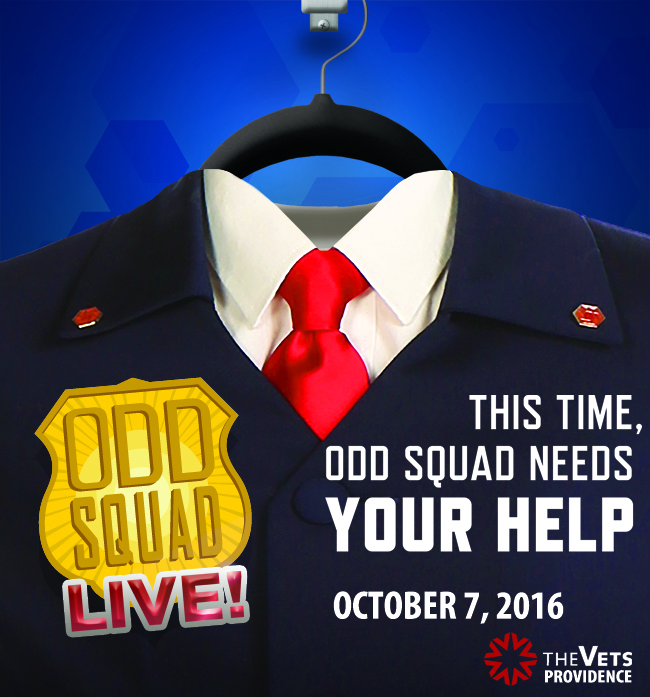 Ms. O needs you to team up with Odd Squad agents in this live, interactive adventure to solve an exciting case. There will be gadgets! There will be villains! There will be music! There will be comfortable seats, but you'll only need the edge... because, frankly, it's bad for posture to sit all the way back. Well, what are you waiting for? Go! 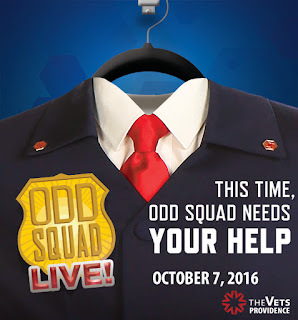 Odd Squad Live will play two shows at The VETS in Providence Friday, October 7 at 2 p.m. and 6 p.m. Tickets go on sale to the public Friday, June 3. And watch Odd Squad weekdays at 5 p.m. on Rhode Island PBS! from the popular PBS Kids series. and Rhode Island PBS Kids Club members who wear their member medallions will get a special something extra! but advance reservations are required. Questions? Call Elisa Iacono-Mears at 401-222-3636 x336 or by email.